Created by sewing together two identical handspun, finely woven wool panels, this side-seam style bííl dress dates to the 1700s when two deer hides were sewn together. In the 1880s, Navajo women began using commercial dyes in lieu of blue clay, indigo, and cochineal. 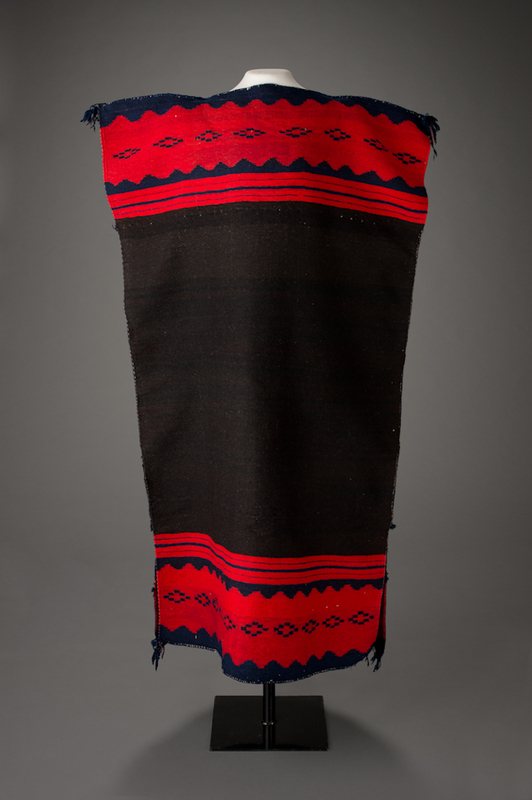 The woven symbols represent sacred elements in the Navajo cosmos such as mountains, water sources and clouds, and the woman wearing the bííl would embody the female attributes of those elements.